The Nigerian National Petroleum Corporation (NNPC) has introduced the Accelerated Upstream Financing Programme (AUFP) through which it has secured a US$1.2 billion multi-year drilling financing package from a consortium of indigenous and international lenders to fund drilling in 36 offshore and onshore wells, to cover NNPC’s 60% share of the drilling operations in fields jointly owned with US oil major, Chevron. Guardian Newspaper editorial of October 13, 2015 examined the pros and cons of introducing an alternative contractual model in upstream financing. On October 14, 2015, Spaces for Change’s energy analysts (Samuel Diminas, Temitope Adeyinka, Chinonmso Awazie and Victoria Ohaeri) discussed the specific questions and issues raised in the Guardian editorial relating to oil sector transparency in Nigeria. Here is our response to the editorial: . 1. Do the circumstances surrounding the announcement of the AUFP signify the death of the Petroleum Industry Bill (PIB)? The PIB is purely a legislative matter. As such, NNPC activities, in this case funding the routine operations and work programs of their JV interest, have nothing to do with the passage, delay or death of the PIB. 2. Does the NNPC have the legal backing to carry on in this manner? And will the joint-venture arrangement with the IOCs continue with the operators managing the AUFP funds opaquely like the cash-call contributions hitherto? The NNPC is a national oil and gas corporation. Its operations are governed by the NNPC Act which differs from the statutory operations of the Ministry of Petroleum and the regulatory body which is the Department of Petroleum Resources (DPR). 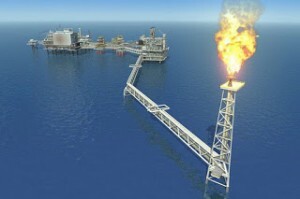 The AUFP and other funding arrangements are covered within NNPC statutes. Alternative funding arrangements are expedient as a solution to the funding and investment requirements of the NNPC. We draw specific attention to Section 6(1), 7(4), 8 of Nigerian National Petroleum Corporation Act No 33 of 1977; Chapter 320, Laws of the Federal Republic of Nigeria 1990. The management of the AUFP should only be evaluated after the fact; it is premature to speculate on how the funds would be managed at this stage. 3. Having rushed to sign the loan papers, the NNPC owes the public explicit and demonstrable assurance that provisions of the Nigerian Content Act will guide the financing and execution of the project. The NNPC has an organizational structure, a board and statutory supervision by the National Assembly through the relevant committees. These structures are accessible for confidential documents and for other relevant information to authorized persons/offices. As far as local content is concerned, the onshore well drilling contract has been awarded to Oando Energy Services and their rig OES Respect will be utilized. And regarding the concern whether the projected revenue increase will come from anticipated rising crude oil price or as a result of the loan putting an end to deduction of cash-call commitment from the Federation Account (FA), we take the view that revenue projections and loan repayment are not hinged on speculative or expected oil price increases. The economic and commercial case models are based on current oil prices and possibly worse case scenarios. Any increase in revenue to the NNPC would be long term, from the effective and successful execution of the project and after costs are offset. On the part of the Federal Government, there is a projected revenue increase. In this context, alternate funding sources signifies that revenue from crude oil sales are not deducted for NNPC cash-calls, operational costs and investments etc. In other words, the AUFP ostensibly provides an alternate funding for JV projects which otherwise would have been funded by deductions from crude oil sales at the NNPC, before remittance to the Federal Government. 4. The AUFP loan raises a fundamental issue: why should the NNPC and Nigerian banks repair to London to sign any financing loan amidst over N70 trillion idle bank lending capacity in the economy? The loan is secured from a consortium of domestic and foreign banks led by Standard Chartered (foreign) & UBA (local), the names of the syndicate banks are in the public domain. Syndicating loans with foreign banks helps risk management. It’s standard practice in these kinds of huge loan arrangements. 5. Why are the international lenders in the consortium not named? The disclosure is necessary for the sake of transparency and the need to douse any suspicion that this country is the source of the dollar funds borrowed by the NNPC from abroad. What are the full terms of the loan, which the Nigerian people will have to repay? We agree with the Guardian editorial that disclosure of contract terms is essential. To enhance oil sector transparency, the disclosure of the full terms of the loan and the international lenders in the consortium is necessary, even though businesses would usually regard such information as highly confidential. But in this case, the consortium of foreign and local banks is led by Standard Chartered (foreign) & UBA (local). We found that this information is in the public domain. We found this opinion to be speculative. The target cumulative production from the proposed 36 well development program is 41,000 bbls per day and not 61 million bbls per day as indicated in the Guardian editorial. PreviousPrevious post:Spaces for Change’s Digitivism: Democratizing Organizational Structures via Social MediaNextNext post:Where are the Women? Where are the Youth?